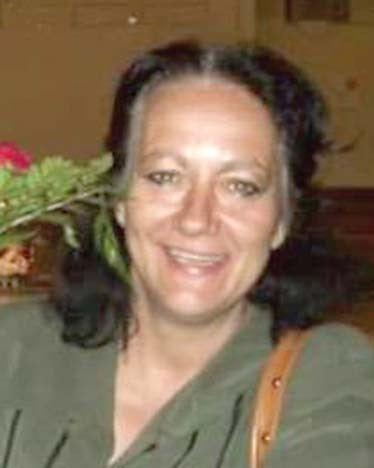 Darlene Kay Bynog, 55, of Natchitoches passed away unexpectedly in her sleep in Opelousas Friday, Aug. 25, 2017. She was born Oct. 11, 1961. She was preceded in death by her father, Lee Roy Bynog Sr.; mother, Pearline Wise; sister, Clara “Patty” Bynog; brother, Roy Bynog; and nephews, Bradden Lee Bynog, Christopher Bynog and Ramsey Luke Desadier. She is survived by three sons, Shawncy Bynog and fiancé Brittney Baca, Daniel Sharbino and Marty Hutto and wife Leslie; one daughter, Crystal Hutto Foshee; son-in-law, Grady Foshee; grandchildren, Avery and Preston Foshee and Aiyana Bynog; five brothers; four sisters; and a host of nieces and nephews. Darlene was a giver. She gave to others before she gave to herself. Her faith in God and her fighting spirit helped her survive colon cancer. Our worlds feel less with her no longer in it but her memory, humor, and essence will remain a part of us forever. She will be sincerely and deeply missed.